The Churchill Bulldog 400 is a large capacity Square Door underfloor safe designed to protect cash and valuables in the home. 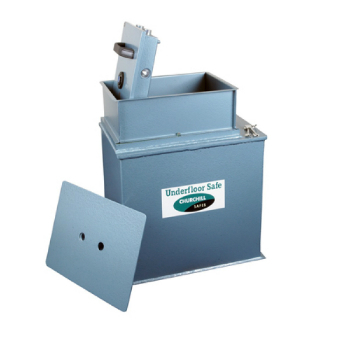 These floor safes are a popular choice in the domestic setting and come complete with a Cash Rating up to £6,000. These safes can be hidden away from view, below floor level and then concealed completely with furniture or floor coverings. Available in 2 models and can be customised with combination or electronic locking options. Supplied with full installation instructions or we can fit the safe for you.